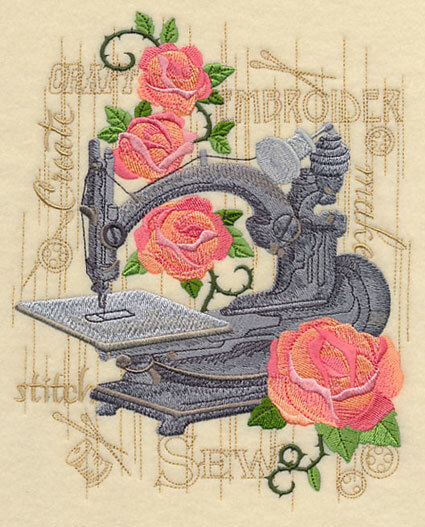 It's Embroidery Library's 18th birthday -- AND National Embroidery Month! 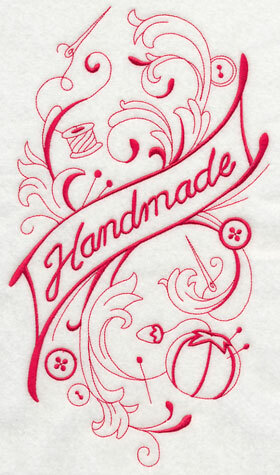 We appreciate you so much, and are excited to kick off the month-long celebration with brand new craft-tastic designs. Sophisticated dress forms, scissors, and sewing machine designs are fabulous for adding an elegant look to your crafty space. 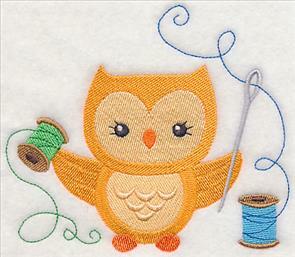 Adorable owls sport your favorite crafty notions; sweet sewing samplers are great on totes and pillows! 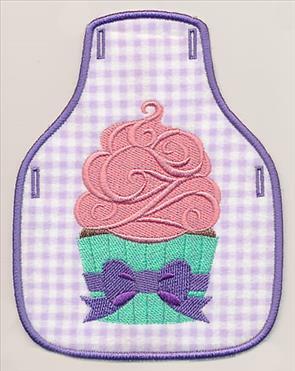 Plus, we're excited to share an extra-special birthday treat with you: new cupcake designs, including a bottle apron and napkin holder! Scroll down the page to see these crafty designs. Create a stylish (and customizable!) 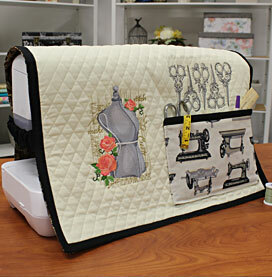 sewing machine cover for your craft room. 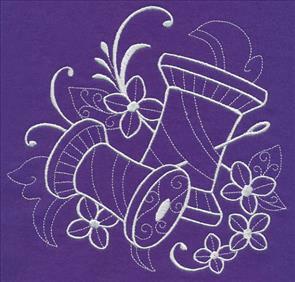 Add an elegant edge to your next embroidery project with this sophisticated design. 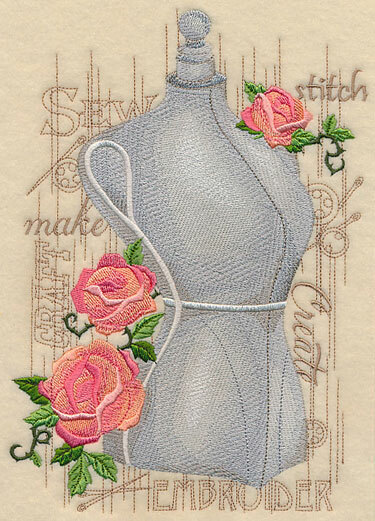 Stunning roses adorn the antique dress form in the foreground; elegant crafty words and accents provide a lovely, muted background. 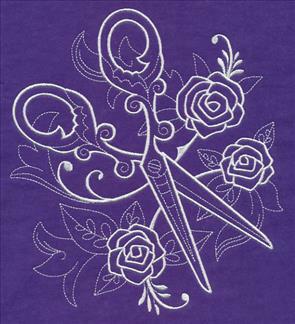 6.89" x 9.65" and 5.54" x 7.77" and 4.86" x 6.81"
A pair of scissors, needles, a thimble, and spools of thread pair nicely with roses and thorns. 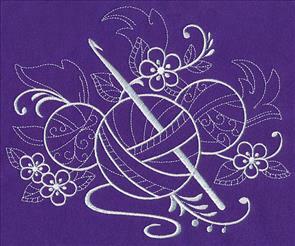 Terrific for embroidering on a pillow, or adding to a framed piece! 6.88" x 8.45" and 5.85" x 7.19" and 4.85" x 5.96"
This antique sewing machine is a gorgeous embroidery embellishment on its own, and is especially striking when paired with the dress form and scissors motifs above. Stitch as a series of wall hangings, framed pieces, or a matching pillow set. 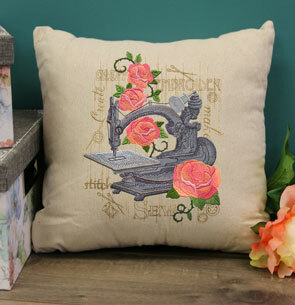 6.90" x 8.71" and 5.86" x 7.40" and 4.86" x 6.13"
These sweet and stylish sewing designs are particularly delightful on pillows. 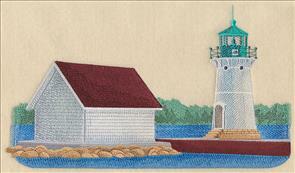 Be sure to use a smooth, neutral background, as these designs feature some light stitching and open areas. Find all of our pillow project tutorials on the Embroidery Library Project website, and check out our Pillow Party videos and Lookbook, too! Light flourishes, sweet flowers, and the classic whitework style give these crafting notions a charming, lively look. 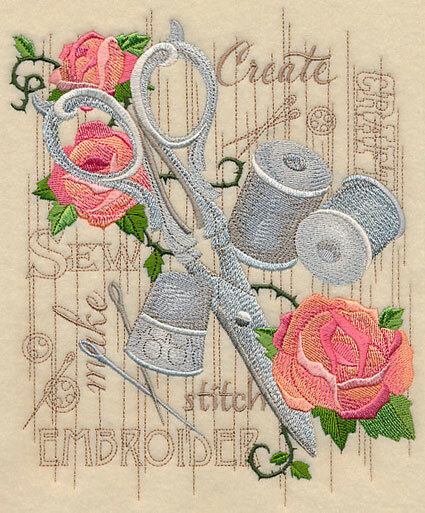 The elegant designs are the perfect way to stitch for your favorite hobby. A pair of scissors and dress form design stand out against the light filigree detailing in the background of these crafty motifs. Each of the whitework designs feature a variety of lighter and heavier stitches, adding layers of texture and depth to the embroidery. 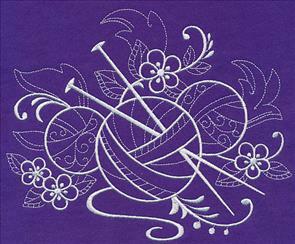 Stitch all the crafty whitework on a quilt or series of wall hangings, or pick your favorite to stitch alone. 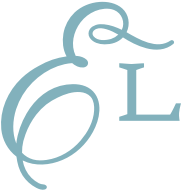 We especially love them on apparel, tote bags, sewing room decor, and more! 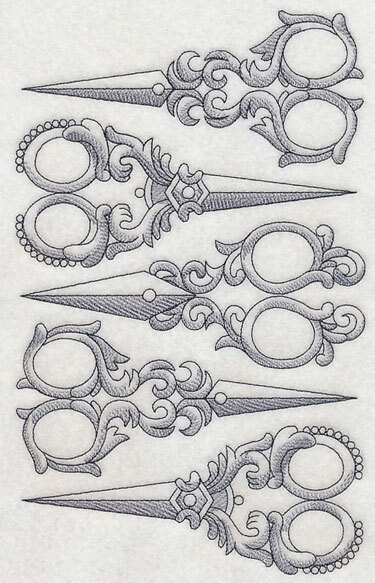 7.80" x 6.40" and 7.14" x 5.86"
5.91" x 4.85" and 3.85" x 3.16"
Purchase these elegant and eye-catching designs individually by clicking the links above, or get all 6 of the crafty whitework designs in a pack. 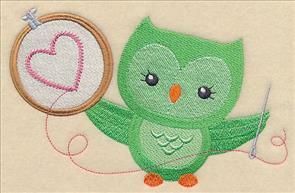 These adorable owls think crafting is a hoot! Whether perched on a branch adorned with sewing notions, or clasping a spool of thread and a needle, the too-cute characters are ready to start sewing. 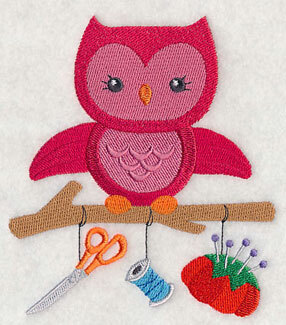 5.57" x 4.85" and 3.85" x 3.35"
Add the bright and colorful crafty owls to sewing room decor, or use to decorate a kids' room! 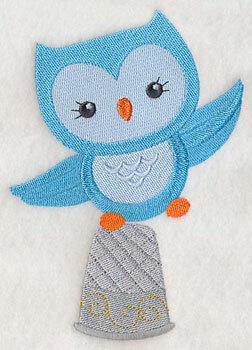 The charming feathered friends are a great way to share your love for your favorite hobby. 6.89" x 4.35" and 3.85" x 2.44"
Knitters and crocheters will adore the endearing owls -- they're fantastic additions to apparel, framed pieces, or yarn bags. 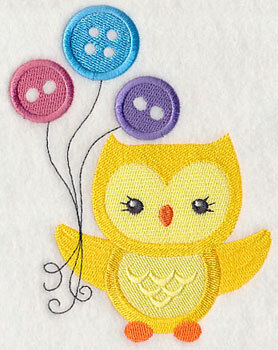 6.88" x 4.82" and 3.86" x 2.70"
Buttons balloons are an extra-adorable way to share your crafty nature. There are two variations of this design to choose from -- one with embroidered balloons, and one where you can add your own buttons where the balloons belong! 4.45" x 5.82" and 2.87" x 3.76"
These crafty owls will inspire you to start your next project! Purchase the designs individually by clicking the links above. Beautiful blossoming flowers and greenery wind their way up a wire dress form in this stunning crafty motif. The sweet floral accents bring a delicate, elegant touch to the traditional dress form shape. 4.98" x 11.67" and 4.00" x 9.40" and 3.31" x 7.77" and 2.93" x 6.87"
This antique sewing machine adorned with a breathtaking arrangement of flowers is striking on wall hangings, tote bags, and pillows. 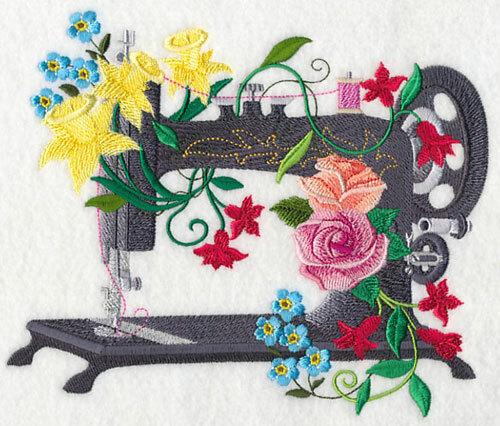 Stitch the colorful floral motif as a way to display the beauty of sewing within your home. 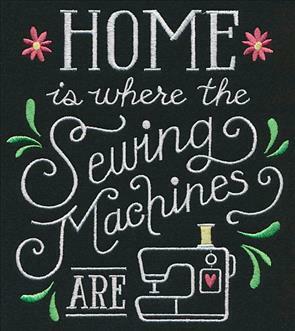 Whether you're dedicated to one machine or use many, these adorable quote designs are terrific for adding a little fun to your home decor. 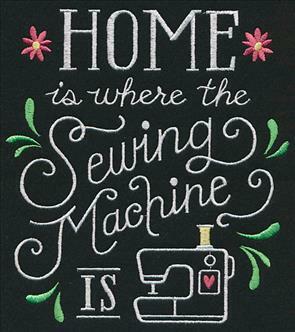 Hang in a craft room, stitch on a living room pillow, or use to decorate your sewing machine cover. 6.85" x 7.59" and 5.86" x 6.49" and 4.86" x 5.39"
Just because it's handmade doesn't mean it was easy -- ain't that the truth! An eye-catching addition to totes, pillows, and more. The bright colors in this design pop against a dark, neutral background. 6.85" x 7.57" and 5.85" x 6.47" and 4.85" x 5.37"
These crafty quotes and sayings bring fun and fabulous style to home decor, gifts, and apparel. Bold colors, eye-catching fonts, and lively accents give these designs a fabulous look. 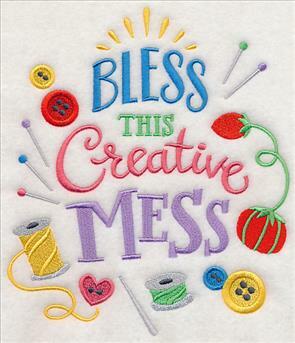 6.90" x 10.44" and 5.85" x 8.85"
5.16" x 7.80" and 4.53" x 6.85"
Brighten up your crafty space with this "Bless This Creative Mess" design. It's great for presents for sewing and crafting groups, too! 6.81" x 7.81" and 5.87" x 6.72" and 4.87" x 5.57"
A soft and sweet color palette gives these sewing notions a whole new look. 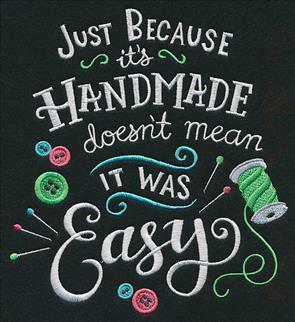 Brilliant for sprucing up craft room decor (we're thinking totes, pillows, wall hangings, and more!). 6.85" x 9.78" and 5.48" x 7.81" and 4.81" x 6.86"
Exquisite, antique scissors are an elegant way to show off your favorite hobby! This crafty collage uses light stitching and open spaces for extra appeal; be sure to stitch on smooth, neutral fabrics for best results. 6.90" x 11.12" and 5.84" x 9.42" and 4.84" x 7.78" and 4.25" x 6.83"
The three scissors from the above design are also available to purchase singly. 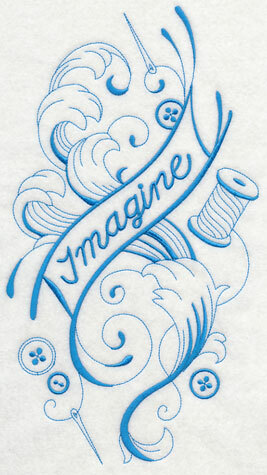 Stitch in conjunction with the collage, or add as accent embroidery on your next project. 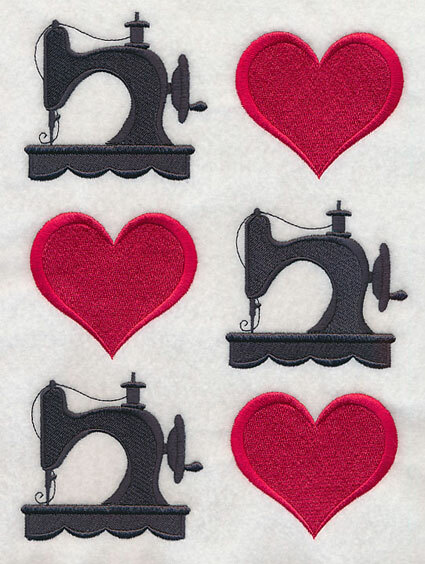 2.89" x 6.81" and 1.65" x 3.90"
We "heart" sewing! Show your true feelings for crafting in this sweet collage. 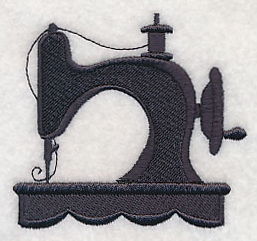 Antique sewing machines and bold hearts are eye-catching on pillows, sewing machine covers, and more. 6.90" x 9.49" and 5.67" x 7.81" and 4.85" x 6.67"
The heart and sewing machine from this collage have been separated out, and are available for individual sale. 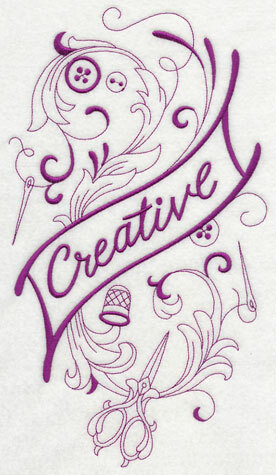 Use to highlight a pocket or corner, or stitch on blankets, apparel, and more! 3.26" x 3.03" and 2.29" x 2.13"
Elegant banners celebrating inspiring words are an unexpected way to share your love for crafting. Sewing notions add extra appeal, while flourishing sprays and details give even more of a sophisticated finish. 6.60" x 11.74" and 5.28" x 9.39"
4.38" x 7.80" and 3.85" x 6.84"
Stitch the "Imagine," "Creative," and "Handmade" banners together as a series of wall hangings, use two for either side of a tote, or pick your favorite to embroider alone. 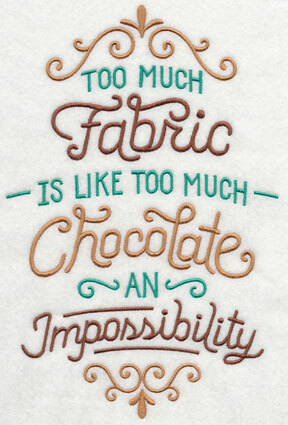 They each use just one color of thread and are surprisingly quick-to-stitch, too! 6.67" x 11.75" and 5.34" x 9.40" and 4.43" x 7.80" and 3.89" x 6.85"
Fabric-lovers know the true meaning of "Material Girl"! 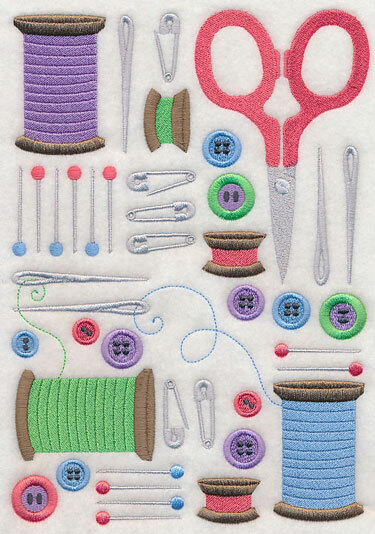 Stitch the cute-and-crafty design on fabric bags, sewing machine covers, sweatshirts, and more. 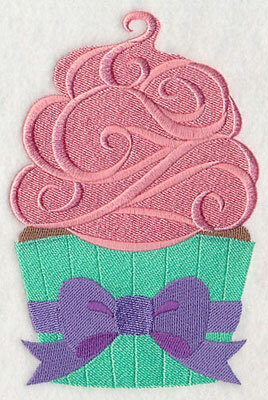 This fun motif comes in two variations: stitch-filled, and crafty cut applique. 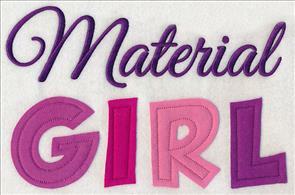 Find out more about crafty cut applique in this free tutorial. 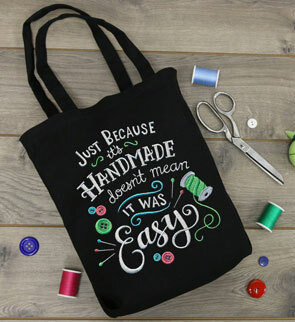 10.63" x 6.90" and 9.03" x 5.86"
7.81" x 5.07" and 6.86" x 4.45"
Other crafty words, such as "create," "sew," "quilt," and "craft" are terrific embroidery additions to tote bags, pillows, wall hangings, and more. They've each also been created in the crafty cut style -- get our best tips and tricks in the project tutorial! 11.73" x 2.76" and 9.39" x 2.21"
7.02" x 2.76" and 5.62" x 2.21"
4.66" x 1.83" and 4.09" x 1.61"
The stitching on these colorful designs is very simply, letting you get creative with fabric and color choice! 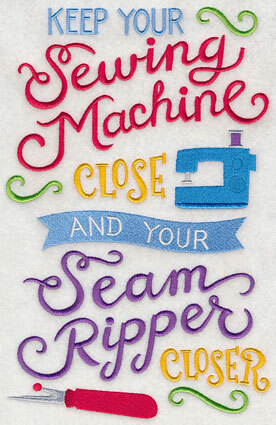 Use a mixture of textures, patterns, or prints to give your embroidery an entirely unique look. 9.68" x 2.67" and 7.75" x 2.14"
10.66" x 2.75" and 8.53" x 2.20"
7.07" x 1.83" and 6.21" x 1.60"
Celebrate Embroidery Library's 18th Birthday! 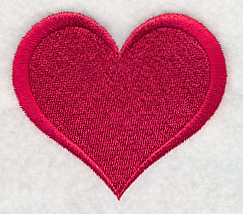 February is Embroidery Library's birthday month (we're turning 18! 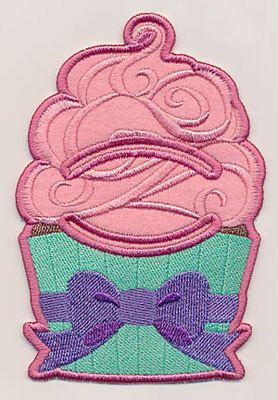 ), and we're excited to celebrate with a special treat: new birthday cupcake designs! 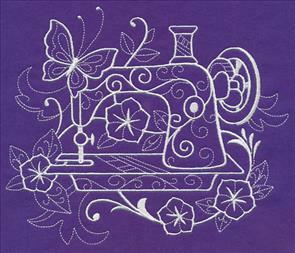 This design comes in four fabulous variations -- stitch-filled and applique versions, plus a bottle apron and napkin holder! Swirls of frosting, a big beautiful bow, and a lovely color scheme give these cupcakes a too-cute look. 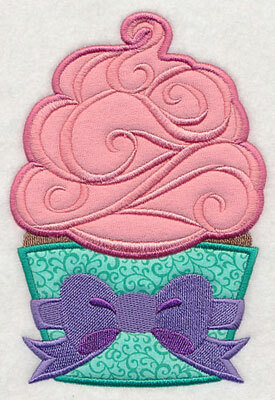 Stitch for your own birthday celebration, or to add a sweet look to kitchen decor! 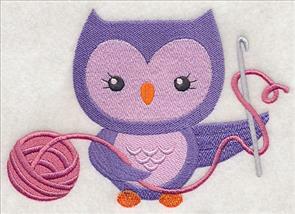 Find our best tips for applique embroidery here. 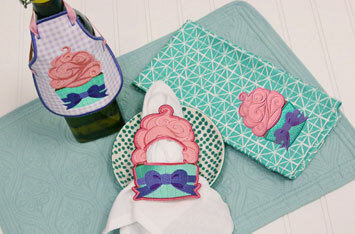 4.70" x 6.87" and 2.69" x 3.90"
Keep the birthday celebration going with this bottle apron and coordinating napkin holder! Gift a bottle of wine with the apron for a friends' special day, or decorate for your own party with these tasty napkin holders! 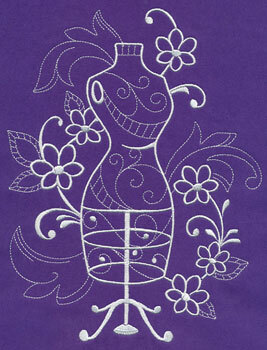 For instructions about embroidering bottle aprons click here, and for napkin holders click here. 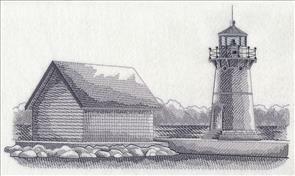 3.82" x 5.63" and 2.66" x 3.90"
Debbie requested designs featuring the Sunken Rock Lighthouse in Bush Island, New York to add to our growing collection of lighthouse designs. This lighthouse was built in in 1847 and converted to solar power in 1988. Fabulous on pillows, quilts, and more! 11.72" x 6.79" and 9.40" x 5.45"
11.73" x 6.80" and 9.40" x 5.45"
7.79" x 4.52" and 6.86" x 3.98"